I love playing with the anim files, and creating custom scenarios. Lately, I have been toying with the idea of a Medjay culture. 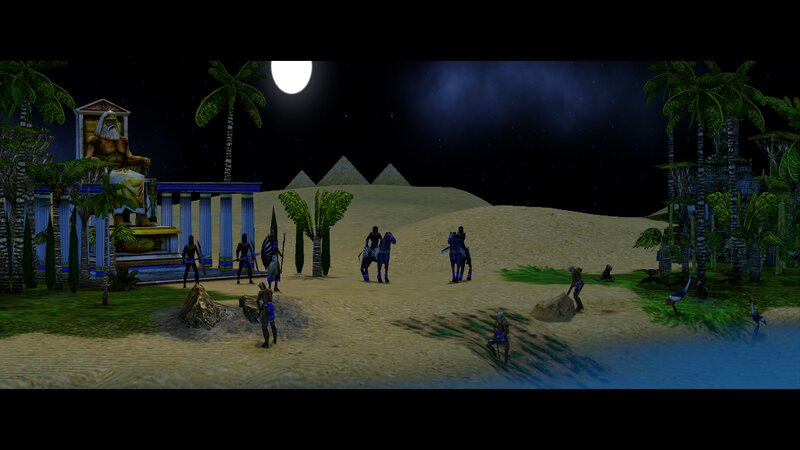 As you can see I created the Nubian villagers. Wasn't it odd how Amanra was the only Nubian person in Aom other than the mercenaries? I am ready to start modding the files but I just need some advice on where to start. I'm very new to this, but that idea would be incredible. ignorance) or it could be added. 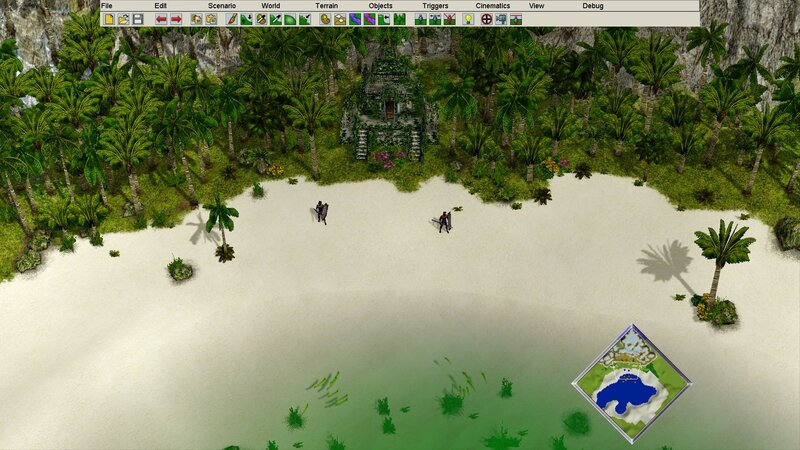 You can download Voobly unofficial expansion Alpha is a mistake (do not use it, I think) is about the Mesoamerican civilizations but it does not work very well. I could guide you, I hope. Nubians will be a an Egyptian sub-culture, like a 4th major God for Egyptians. -There will be Medjay Archers, and Medjay villagers. -They will build tents instead of houses. -I am trying to replace the Golem character model with the Guardian. It will function similar to a mountain giant. -I might use the Apep hidden unit. -Medjay wonder will be the campaign pyramid. -Instead of animals, Medjay Pharoah's will summon minions. -I am trying to decide on their mercenary characters. If you have any ideas feel free to add. I am simply creating the anim files now. I have already tested some of these. (replacing texture, models, and sound) I hope that I will have no problem creating the actual civilization. In the planned campaign Medjay will be traveling quite far from their home. I tried to make it look, as tropical as possible. Feel free to give me advice.